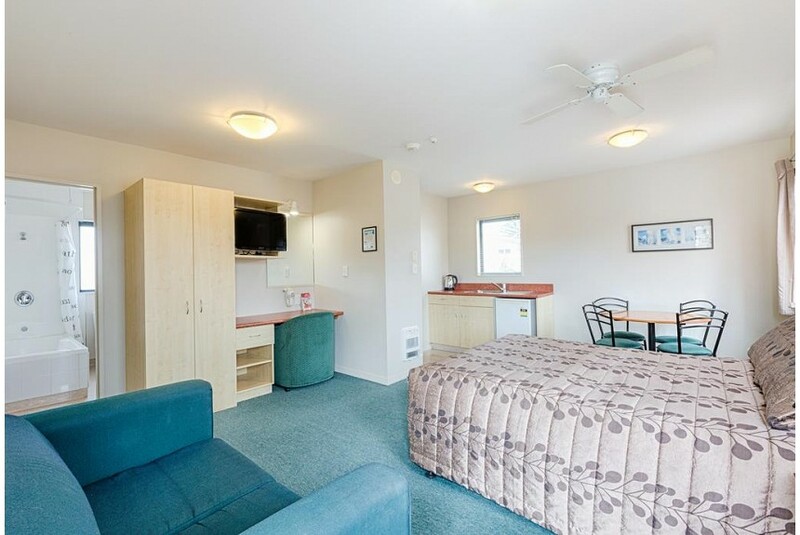 Bella Vista Motel is just 3 minutes’ walk to Napier’s town center and Marine Parade. All rooms enjoy satellite TV and 1GB of free WiFi per day. Free onsite parking is offered. Rooms at Motel Bella Vista include electric blankets and toasters. Tea and coffee making facilities are provided. Many rooms also offer kitchenettes. At the Bella Vista, breakfast can be arranged daily and guests also have access to modern laundry facilities. Bella Vista Napier is conveniently located for exploring the sights and attractions of Napier. The National Aquarium of New Zealand is located just 10 minutes’ walk from the hotel. Guests can also find vineyards, farmer’s markets and gourmet food restaurants within 30 minutes’ drive of the hotel.